There is so much misinformation about what auto accident attorneys out there on the internet. We felt that it was important for an auto accident attorney in Los Angeles to set the record straight. When you’re in an auto accident and you’re injured, you probably need to get an attorney. It’s the best way to make sure that you get all of the compensation you deserve for everything that you’ve had to go through. In the following blog, we’ll give some basics about what we do here at the LA Injury Group for our clients who have been in an auto accident. No one’s ever really prepared to be in an auto accident. One moment, you’re driving and everything’s fine. The next, you’ve been struck, and your world has changed forever. There’s no amount of prep, no exercises or training that goes into being ready for a moment like that. In fact, that’s one of the big reasons that we write these blogs – in the hope that someone, when looking for information about what to do during this critical time finds them. Then, they can use the information contained herein to make this difficult time just a bit easier. Insurance companies often contact folks who have been in accidents right after the accident happens. “Right” might be a bit of an exaggeration, but not much of one. That’s not to say that the insurance company contacts accident victims while they’re still sitting in their wrecked vehicles or something, but we have had so many clients who have told us that the insurance company contacted them the same day they were injured. Not 24 hours later, not a couple days, but the day they were injured – let it never be said that insurance companies work too slowly. Many times, the insurance company will make you an offer. Equally likely, they will make this offer as quickly as possible. It may seem like a very good thing to receive this amount of money so quickly (after all, you’ve just been through a terrible experience and money can certainly help). However, it’s important to bear in mind that this first offer from the insurance company is almost always a “low ball” number. That means that it’s far below what your claim is actually worth. If you take this first offer, then you forfeit the right to get all of the compensation that you deserve for the accident. Hiring an attorney to take your case precludes that from happening. Here at the LA Injury Group, our entire team of auto accident attorney specialists is built around the idea of getting our clients as much compensation as they can. We will strongly recommend you don’t take that lower number. By that same token, we’ll look over any document from the insurance company and advise you accordingly. Then, when you hire us, we’ll make the insurance company contact us so that you don’t have to deal with them anymore on your own. Our attorneys can talk to the other driver’s insurer for you. This is the kind of thing that a regular person who isn’t a lawyer should abstain from. No good can come from you talking to the insurer for the other driver, and indeed a lot can go wrong. We communicate on your behalf. Here at our firm, we make sure to keep clients “in the know.” We can tell you what we’re doing when we’re doing it, so that you’re always informed about your case. We believe that the more informed a client is, the better decisions they can make about their own case. Most people, before they’re in an auto accident, don’t realize how much work and effort goes into their claim. We can make that easier on you. We can get your medical records and bills organized, just to give you one less thing to worry about. Instead of you having to put all of that together on your own, our professionals can organize it on your behalf. By that same token, we work with your doctors, too. 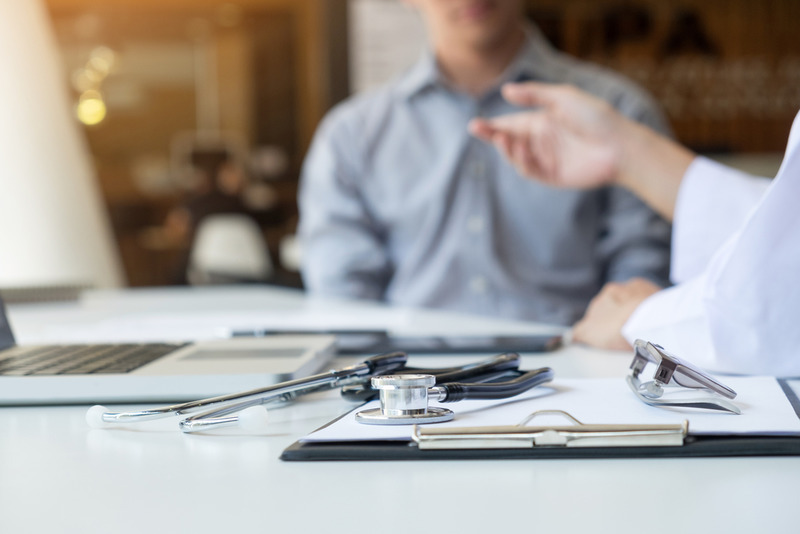 We can sit down and figure out exactly which medical info we need to show conclusively that the damages from your claim were caused by the auto accident. Some people are scared away by the price of hiring attorneys for their auto accident. If you’ve heard an attorney radio jingle in your life, you know that essentially every injury attorney takes “no money up front, we work on contingency, we only get money when you do” and so forth. The same holds true for us. We only get paid when you do, so we are very much “on your side” by any definition of the term. However, we can do a lot more to keep the costs of your auto accident case than just work on contingency. We can do some negotiating, too. After an auto accident where you’ve been injured, your medical bills are liable to pile up. Basically no one has enough money on their own to be able to cover everything that these bills can pay for. That’s part of the reason that it makes sense to get an attorney involved: we can get you the compensation to pay for what you deserve. That being said, we can also get you in contact with medical professionals who will work on contingency, too. That way, they’ll be paid the same way we are: out of your eventual settlement. So, you won’t have to pay anything up front for any part of it. Many people, when they hear the word lawyer, only hear “attorney” or some other synonym of lawyer. Another way to think of the word “lawyer” is to think of it like “law expert.” When you decide to get compensation for your auto accident claim, you’ve made the conscious decision to enter the realm of law. So, it stands to reason that you would want a law expert on your side. A law expert could present the evidence in your case in the clearest, most compelling manner. In turn, this could help significantly in proving liability as well as damages so that you get as much compensation as possible. Our lawyers can help with this in a variety of ways. Experience counts. Experience counts for so much in auto accident cases. We’ve heard all of the arguments, basically over the years, for and against injured people in auto accidents. So, we know the arguments that are the most persuasive as well as the arguments that are the most persuasive for the other side. In our time, we’ve taken on some of the biggest insurance companies and won significant settlements and prizes for our clients. Now, we can use that same experience to get you what you deserve. That starts with gathering evidence. Obviously, you know to take pictures of the crash site, your injuries, as well as your recovery from them. However, here at the LA Injury Group, we have the experienced investigators on our side to get the best, most compelling evidence of the truth of your accident. They can go out to the crash site and take down all the relevant testimony, information, pictures and more. Then, we sit down with them and go over everything. Through this process, we can make your case as airtight as can be. The entire auto accident injury experience is a harrowing one. No part of it is easy; each stage is its own trial. However, you don’t have to face it alone. You don’t have to settle for less than you’re worth. Schedule a free consultation with us today. We can sit down with you and go over your case. For more information, call us at (818) 210-4558 or head to our site.